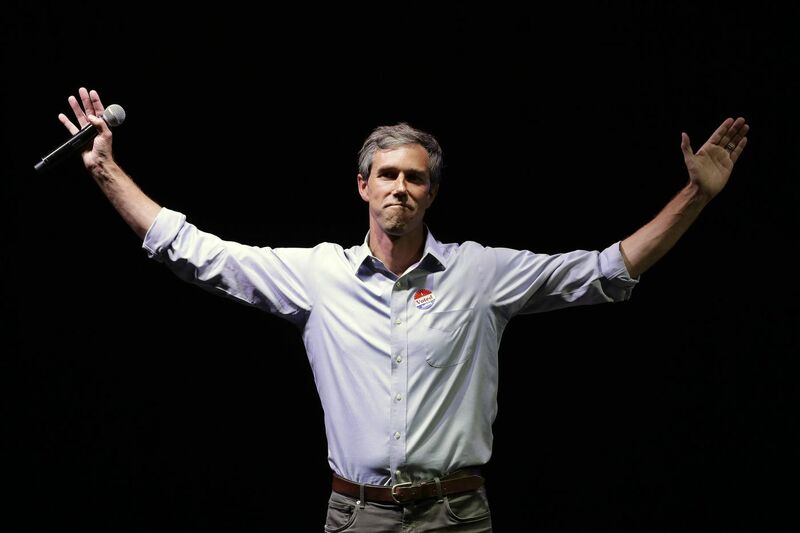 AUSTIN, Texas (AP) — When it comes to a 2020 presidential run, Beto O'Rourke is still playing hard to get — even as the buzz around him intensifies. Amid his indecision, O'Rourke's name has continued to rise among top potential Democratic presidential candidates — even climbing to at or near the top in some opinion polls. Trump has vowed to help force a government shutdown unless funding to expand the wall along the U.S.-Mexico border is approved — something O'Rourke calls inhumane and ineffective. O'Rourke crossed into Ciudad Juarez, Mexico, later Friday and headed to an immigration shelter to mingle with men, women and children, mostly from Central America, who want to claim asylum in the United States because they are fleeing violence or political persecution back home. Most said they have been forced to wait days — and assigned numbers scribbled on their arms — before being allowed to reach border crossings and formally make such claims. On Saturday, O’Rourke is touring Tornillo, the tent city about 30 miles outside El Paso, where 2,300 immigrant teens are being held at what began as an emergency shelter but now is taking on a permanent feel — costing taxpayers up to $1,200 per child, per day.